Introducing the Resus-A-Cradle- a resuscitation innovation! 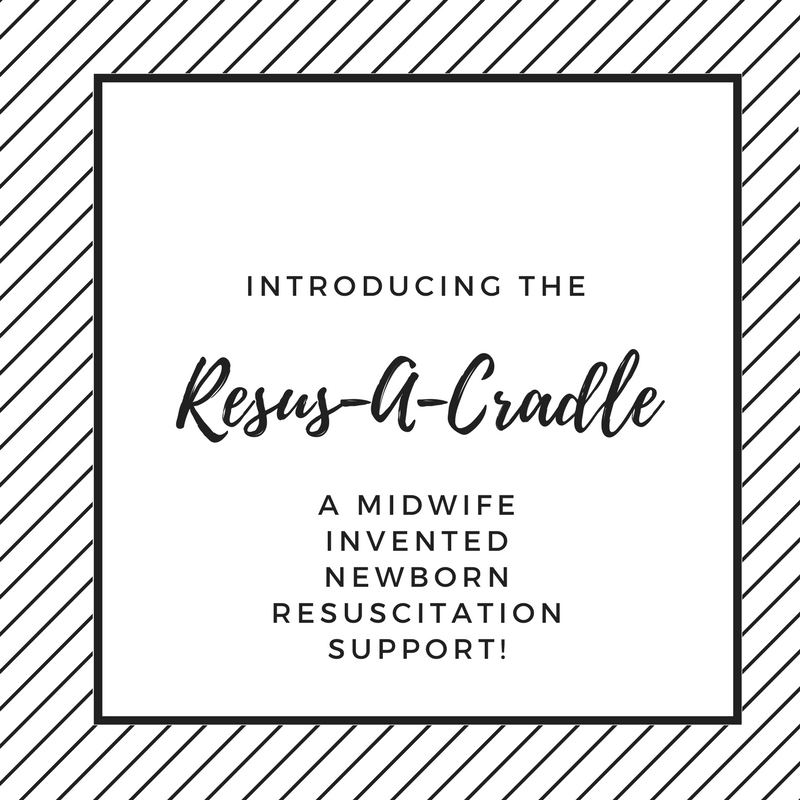 Corvallis Midwife Blog, by AE Johnsdottir MIDWIFE Introducing the Resus-A-Cradle: a Midwife-Invented Support for Newborn Resuscitation! 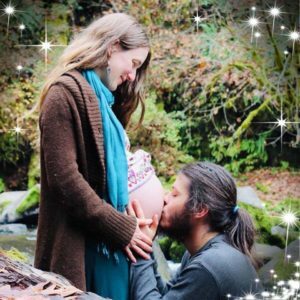 Note to expectant families: most of my blog posts are aimed at providing information to expectant mothers and their families. However, this post will mainly be of interest to my midwifery colleagues. Because I know some families may also be interested in this information, the first part of this blog post gives some background on the topic of newborn resuscitation. As a midwife, my absolute highest priority is ensuring that both mother and baby are safe during labor, birth, and the immediate postpartum period. This is something I take very seriously! Most newborns are born vigorous and don’t require any assistance with transitioning to extrauterine respiration. However, about 10% of babies may need some form of assistance to begin breathing. As midwives, we prepare for these situations by maintaining skills and training that will allow us to safely and effectively provide this assistance. 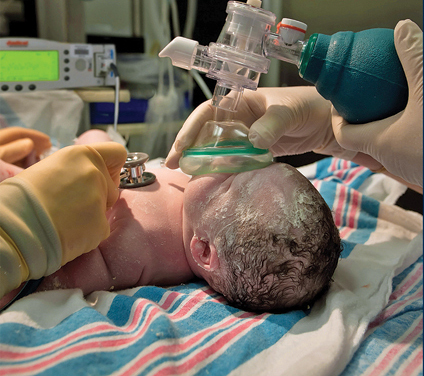 In the United States, it is typical for most CPM & CNM midwives to maintain certification as providers of neonatal resuscitation through the American Academy of Pediatrics. I consider maintaining this certification to be an essential part of providing safe care for families. When a baby needs needs assistance breathing the most important thing to do is to provide something known as positive pressure ventilation. This helps the baby inflate their lungs properly and provides oxygen. Typically this is provided on a firm and stable surface so the baby’s head can be maintained in the “sniffer” position. In the event that a baby needs assistance breathing, a common challenge in the home environment is finding a nearby surface that is suitably firm to provide positive pressure ventilation. Nearby is better because if mom and baby are kept together, we can avoid the trauma of separation and we won’t need to cut and clamp the cord prematurely. In the hospital, a firm surface that is prepared for resuscitation is always available, but this comes at the unfortunate cost of separation of baby and mother as well as premature cord clamping. Some midwives have used a long metal sheet pan that can be brought near to the mother, which serves the same purpose as the resuscitation bed in the hospital but avoids separation and clamping. But if a proper firm surface near the mother is not available at home, it can be necessary to clamp the cord and move the baby to a different place in the room to provide positive-pressure ventilation. The baby’s head, shoulders, and neck must all be maintained in the correct position in order for the baby’s airway to remain open. Maintaining the correct airway is a challenge in both home and hospital birth resuscitation of babies. 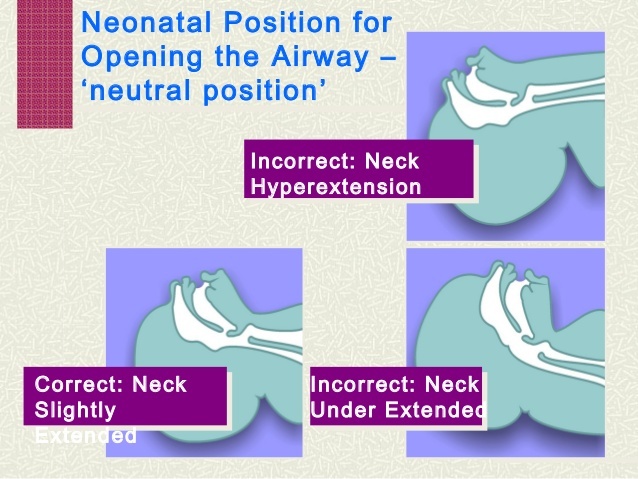 If the baby is incorrectly positioned, the airway will be closed and the ventilations will not inflate the lungs. A rolled up towel or receiving blanket has been used typically in both the home and the hospital for resuscitation. The towel is tucked under the baby’s shoulders to facilitate opening the airway. Unfortunately, this method of positioning baby is less than ideal- baby and towel may have to be repositioned multiple times during the course of a resuscitation. Introducing the Resus-A-Cradle… A resuscitation innovation! The Resus-A-Cradle was designed by homebirth midwife Anni McLaughlin to solve these problems! 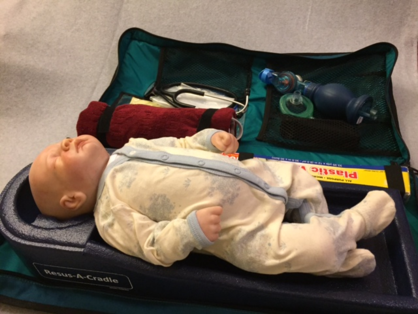 The Resus-A-Cradle stabilizes the head, neck and body of a newborn to help ensure an open airway. Best of all, it provides the ideal surface for in or out of hospital resuscitation that is fully portable and can be easily moved anywhere in the room where the mother chooses to give birth at a moment’s notice if necessary! As a disclaimer, I want to note that I did receive a discount on the my purchase of the Resus-A-Cradle, but my thoughts and and opinions shared here are completely my own. Very lightweight, I can pick it up with one hand quite easily. Despite this, it feels well made and durable. The peace of mind I get from knowing I have the ideal surface to resuscitate the baby on if necessary so close at hand wherever we are in the home is priceless. The foam that the Resus-A-Cradle is fabricated from is very firm, but not unyielding or hard. It’s a gentle but firm surface for both resuscitations and newborn exams. The foam is sealed, so it can be cleaned easily and is not penetrable by contamination or fluids. No more folded up blankets tucked underneath a baby’s shoulders! Repositioning baby to provide effective positive pressure ventilation is a waste of precious time. Having a place where you can put baby and they can remain in the correct position almost feels like having a “cheat code” for NRP- it’s wonderful! The carrying case has space to store and organize your other resuscitation equipment , as well as medications and newborn exam equipment. This means it can replace one of your current birth bags- you won’t just be adding another bag. It is set up to do the newborn exam with so placing the baby in the cradle becomes a skill you have the chance to practice during routine care. I can’t find any shortcomings with the design of the Resus-A-Cradle itself. In a perfect world, if it was also self-warming that would be lovely but I can see why they didn’t do that, since it could introduce all sorts of problems into the design as well as parts that could fail or break. As it currently is designed, it is very durable and I like that better. The only drawback for some midwives will be the price, which is a little steep. Given that the Resus-A-Cradle was designed and fabricated as a wholly new invention, I have no doubt the price represents the needed investment to create the molds and other parts needed to fabricate this piece of equipment. With that in mind, I’d say the price is low! Considering what is spent on luxury items like higher end stethoscopes and iron-duck bags, it’s hard to see the price as a reason not to add the Resus-A-Cradle to your birth equipment. In short, the Resus-A-Cradle is an incredible piece of equipment made by a midwife for midwives, and I wouldn’t want to be without it. If you are also an out of hospital midwife, I recommend you consider adding the Resus-A-Cradle to your birth kit. If you are a hospital based midwife, I recommend you talk to your pediatrics unit about adding the Resus-A-Cradle to your available equipment. According to the inventor of the Resus-A-Cradle, some hospitals are currently considering its purchase. I am excited to see how this invention will change the future of resuscitating newborn babies. Let me know what you think in the comments! Where can we get one?